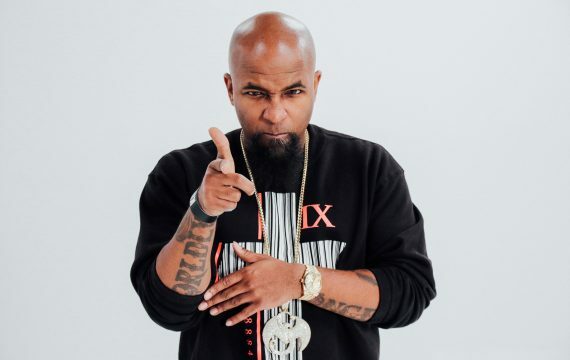 Tech N9ne Takes to Instagram to Preview Unreleased Verses! For the most part, Instagram is filled with pictures of brunch and fourth of July selfies, but every once and a while, you can find something amazing…especially if you follow Tech N9ne. Instagram is one of the best ways to keep up to date with the number one independent rapper in the world, but it’s also the place to go if you want to hear some unreleased music. Recently–perhaps due to going back through his old stuff to get ideas for Planet?–Tech shared snippets of two unreleased verses; one from a Busta Rhymes and Ty Dolla $ign collaboration, and the other, a three year old verse for Kay Slay. Recorded over 3 years ago for Kay Slay, an Unreleased verse for a song he wanted me on called JEALOUSY! It never dropped so HAPPY INDEPENDENCE DAY TO ALL! Who knows, when, or even if, these verses will see the light of day–as Wrekonzie taught us, songs can stay in the vault for years–but we’re glad Tech decided to share them! UPDATE: The second preview, the Kay Slay song, is titled “Jealousy,”is slated to appear on Kay Slay’s upcoming album The Big Brother and will also feature The Game and Busta Rhymes!